The beautiful cover is the work of design studio La Boca, which features their trademark Art Deco composition, emotive colour palette and bold, eye-catching typography. It is reminiscent of the sci-fi covers of the 1980s but updated with clean, modern lines and a spectacular gradient. Author Tim Murgatroyd was brought up in Yorkshire. He read English at Hertford College, Oxford University and now lives with his family in York. He is the author of several novels of historical fiction and a poetry series. Pilgrim Tale is the first book in his Pilgrim Trilogy. More from the publisher: In the middle years of the 22nd century, humanity is dying. It is a time when a genetically-modified elite maintains discipline over humankind by way of murderous airborne drones. When strangers arrive in Baytown, a decaying Yorkshire village by the sea, they threaten Michael Pilgrim, his community, and all he holds dear with annihilation. Pilgrim must not only win allies among the bizarre cast of characters he encounters but also conquer dangerous foes closer to home. 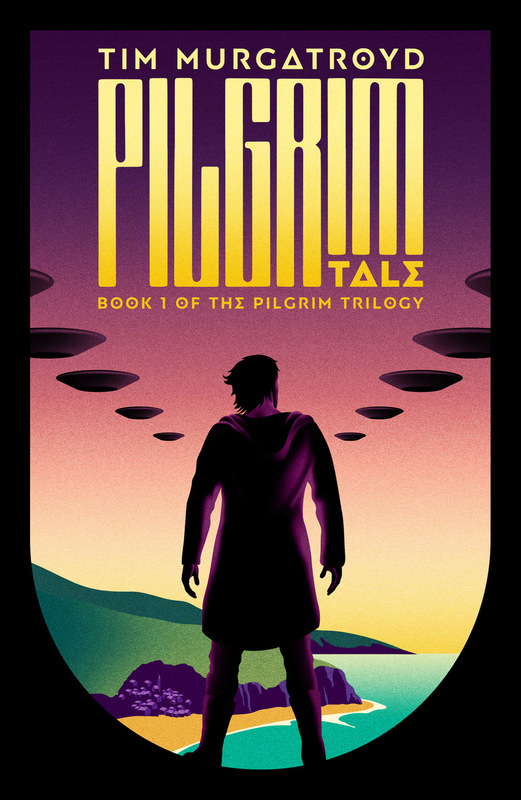 Pilgrim Tale is a richly poetic voyage through a frightening, all too-plausible future. Cloud Lodge Books releases Pilgrim Tale on March 21, 2019. Read below for an excerpt of the upcoming novel.